Great Barrier Reef in Google Maps earlier this year and launching Street View imagery for the Amazon last week, one of the final frontiers we have yet to bring to your favourite computing device has been the Australian outback. One of our top requests from our users is the ability to roam the vast Australian continent. Unfortunately, the remoteness of the outback has posed a challenge for our traditional Street View cars and trikes. 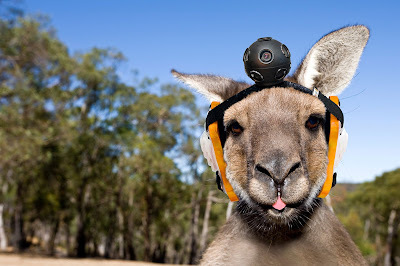 Leading marsupial specialists undertook extensive research to ensure that the image capture activity would not interfere with the roo’s grazing, sleeping or breeding activities. The cropped jackets that the kangaroos will wear have been designed to keep the pouch area completely accessible for the joey at all times. The deployment of the ‘roo force’ will begin today and we believe 98% of the Australian outback will be captured on Google Maps within three years. After announcing tens of thousands of 360-degree panorama pictures of the Great Barrier Reef in Google Maps earlier this year and launching Street View imagery for the Amazon last week, one of the final frontiers we have yet to bring to your favourite computing device has been the Australian outback. 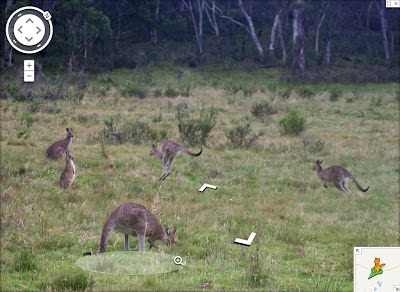 One of our top requests from our users is the ability to roam the vast Australian continent. Unfortunately, the remoteness of the outback has posed a challenge for our traditional Street View cars and trikes.